The Bolton Public Library offers eBooks, downloadable audiobooks, and more from FOUR different vendors! 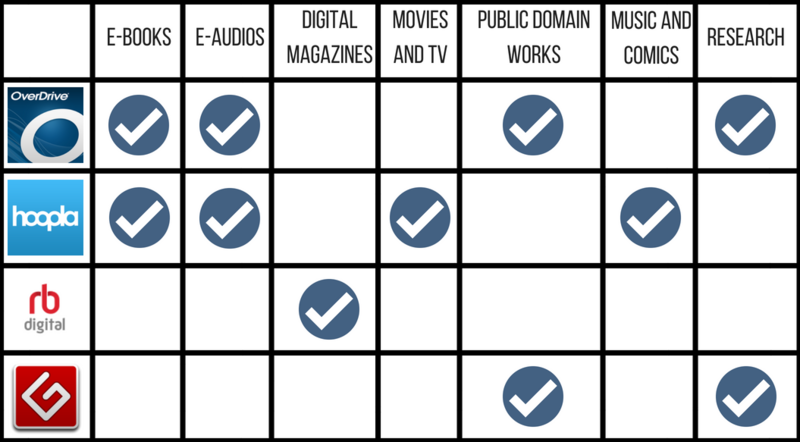 Check out the helpful chart below to decide which vendor is right for you. eBooks and eAudiobooks "check out" like regular library materials. You borrow them for a period of time, usually 21 days, but digital items don't earn overdue fees — when they are due back, they simply leave your device and become available for the next interested patron. Like other library items, there are a limited number of digital copies of any given item at a time. HOOPLA is brought to us by the Boston Public Library and requires a BOSTON PUBLIC LIBRARY E-CARD. To get started using any of these services, click one of the links above! ​Scroll down to find details about each of our vendors. Unfortunately, as of June 30, 2018, the Commonwealth eBook Collection no longer provides access to Axis360, Biblioboard, or ProQuest E-Book Central. 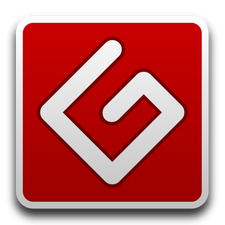 If you're new to eReading and need a hand getting set up, we're always happy to help! Bring your device with you to the library during operating hours and we'll help you get set up to take advantage of our vast collection! *IMPORTANT* To download e-books from most of our vendors, you will need to know the PIN associated with your account. Don't have a PIN? Call us to get set up. To download e-books from HOOPLA you must have a BOSTON PUBLIC LIBRARY E-CARD. Check out a wide selection of new releases and classics with downloadable content available for all ages! 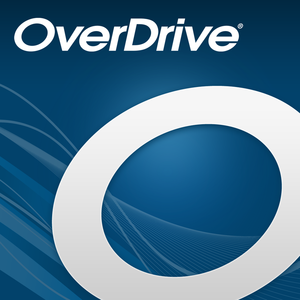 Overdrive is hosted by our library network, C/W MARS. ​No more waiting for holds! 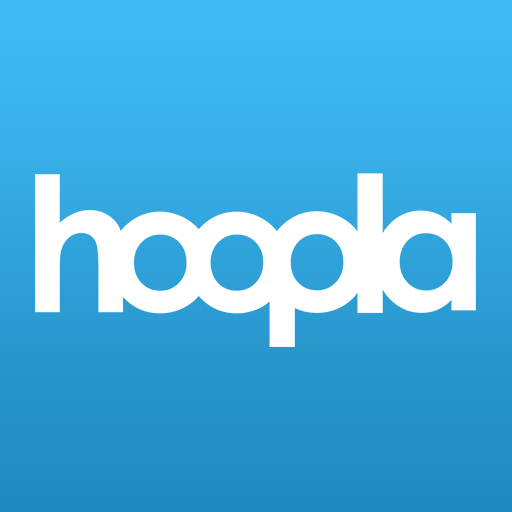 Hoopla content can be checked out to an unlimited number of patrons at once. Requires a Boston Public Library E-Card. Sign-up here in a few easy steps! ​Read popular magazines as soon as they release! Read on your computer, e-reader, smartphone or tablet!